We have been shortlisted as a finalist in the Shropshire Business Awards for our dedication to the employment of apprenticeship schemes. Morris Joinery is one of four finalists shortlisted in the apprenticeships category, after fighting off tough competition from businesses across Shropshire. Presented by the Shropshire Chamber of Commerce, the annual Shropshire Business Awards ceremony will be held on June 15th at Telford International Centre where over 50 businesses will compete in 14 categories. Known for our quality and craftsmanship, we produce a variety of commercial and domestic work from external windows and doors to internal staircases and bespoke furniture. We firmly believe in nurturing young talent to develop and hone the skills the sector needs both now and in the future which is what drives our successful apprenticeship scheme. In the last seven years we have taken on six apprentices, with three currently gaining hands-on experience at our Bicton workshop. Morris Joinery takes its responsibility to training apprentices seriously and assigns each apprentice with a dedicated mentor to guide and help them learn the techniques they need. 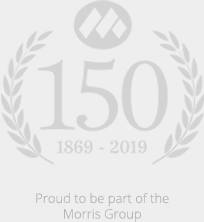 Steve Granda, Joinery Manager at Morris Joinery, said: “We are delighted to be shortlisted as a finalist at the Shropshire Business Awards for our dedication to apprenticeships. Our apprentices work extremely hard and have made a very positive impact on the company.